Texthelp Read&Write is available at no charge to Indiana University students, faculty, and staff through IUware. Download the installation file from https://iuware.iu.edu/(available under Accessibility) and then locate it on your system. To start the installer, double-click Read_Write.exe. A "User Account Control" window may appear, asking if you want to allow the installer to run. Click Yes. The installer will extract all the files it needs to continue. Once the extraction is complete, the Read&Write installation wizard will begin. Select the Accept and Install button. Wait for the installation to complete. This could take several minutes. The install window will disappear when the installation has completed. Before continuing, make sure you have an internet connection. You will be prompted to sign in and given a choice of options. Select Sign in with Google. Enter your IU email address (ending in @iu.edu). Click Next. You will be redirected to CAS (CAS) for authentication. 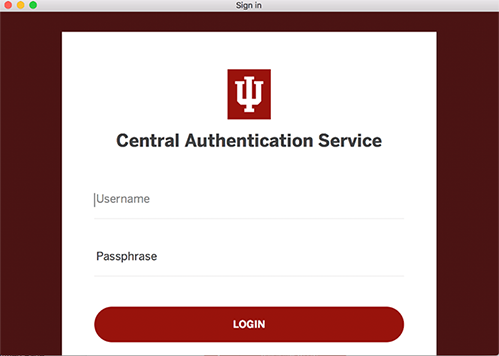 Enter your IU user name and passphrase, and select Login. 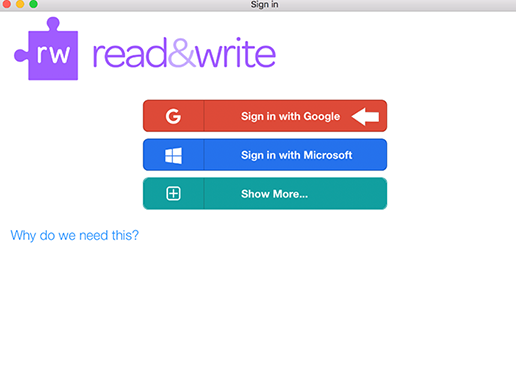 Thanks for signing in, you're all set to start using Read&Write! 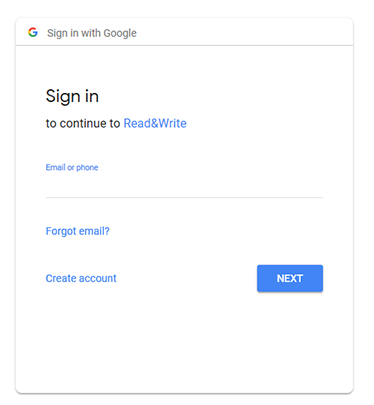 You are now signed into Read&Write. For video tutorials demonstrating all the features of Read&Write, visit the Texthelp Video Tours page. For more on Read&Write for Windows, including usage guides, visit Texthelp's Read&Write for Windows page. For more on Read&Write for Mac, including usage guides, visit Texthelp's Read&Write for Mac page. This is document bevw in the Knowledge Base. Last modified on 2019-03-20 14:47:34.